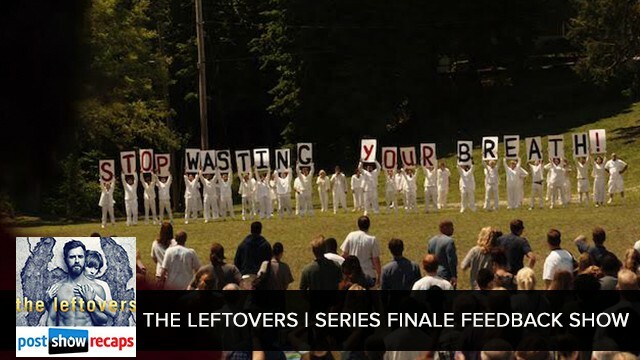 Leftovers Finale Feedback Podcast with Josh Wigler & Antonio Mazzaro from July 4th, 2017. Once more unto the breach, dear friends, once more. Josh Wigler (@roundhoward) and Antonio Mazzaro (@acmazzaro) return for one final podcast on HBO’s amazing KO-to-the-feels drama The Leftovers. Josh and Antonio aren’t as interested in keeping secrets and telling lies as they are in ruminating on the power of animals, birthday suits, and the makeup of a possible 2% world. Of course LOST inevitably comes up as well, but rather than dwell there, future plans not including LOST are discussed. Make sure to SUBSCRIBE so that you don’t miss future episodes from Josh and Antonio at Post Show Recaps, and thank you as always for listening to this podcast series. Your FEEDBACK and suggestions are always welcome.